Facebook Videos are skyrocketed the numbers and crossed YouTube in a number of video posts posted on the platform. More than one billion videos are being watched across the Facebook platform and no marketer can like to miss the chance to advertise with the Facebook videos. Yes, here is a detailed guide about the Facebook videos and Facebook video advertising strategy and its implementation. The majority of people, business or brands like to go for Facebook videos not because for generating the direct response from the videos but to bring brand awareness. Yes, Facebook is the best platform to boost the brand awareness instead of expecting the direct responses from the posting of video content online. Facebook is the ideal platform to connect with the storytelling for building good brand awareness across the platform. Most of the Facebook users engage with fellow users by commenting, liking and sharing the posts. It is a platform for socializing with the people. Entertaining and engaging the audience on Facebook is the main formula for getting successful on Facebook. Yes, your content must generate some good humor or emotion that can connect the people with your content online. Then only you can get good engagement levels across the Facebook. 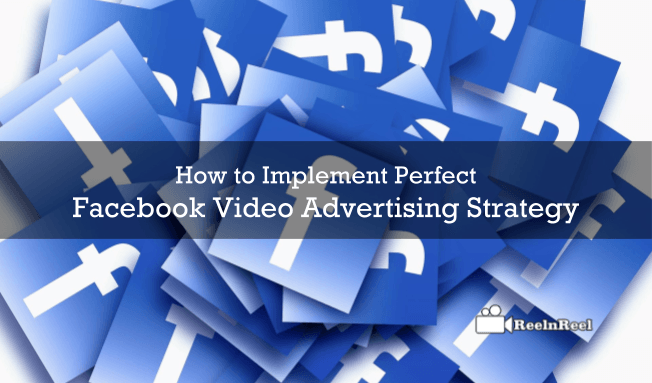 All you need a definitive Facebook video advertising strategy to put your step towards perfect implementation. Yes, the first thing you have to do is to know your advertising goal and why you choose the Facebook as your main medium for video advertising. These questions can help you to answer yourself and get prepared for the right ad strategy. So, decide what you are looking for whether to gain good brand awareness or to drive actions towards your conversion rates. Define your audience in order to maximize the performance of your video ads. So, you must make the people stop your video instead of scrolling other content. So, choose your relevant audience which can help you to get the best outcome. Mobile video views can be very valuable to your efforts as smartphone usage had greatly increased and most of the people on Facebook watch videos through their mobile devices. So optimize your content accordingly before publishing it on Facebook platform. The auto play was designed to make people more engaged with the videos. Try using the text overlays if you choose auto play videos as they generally play in a mute mode without any sound. Organize the content in a right way in order to convey the audience what you exactly want them to know about your services or brand or business. Allow the platform to identify your viewers. This helps you to increase the viewers reach towards your campaign. It also helps you to generate effective video views and engagement levels. Design your re-engagement strategy by re-targeting the visitors who have completely viewed your video content and draw them into your funnel. The main objective of the re-targeting is to make your customers dive into the decision making process in order to make good leads. Try to make a strategy for bite-sized content instead of lengthy video content. As people are more likely to watch the short formed or bite-sized video content on the Facebook platform. so, make a strategy in that way. The best CTA strategy is the must in your strategic plan in order to reach the potential and loyal customer base on Facebook platform. So, plan good and effective call to actions in your videos and narrow the targeting ways. Utilize high-quality video content ad include the branding message which helps you to reach the things in a better way. You have already created a definitive strategic plan for every step you are going to keep on your Facebook video strategy. Now, the most crucial step is the implementation of the same strategy in a right way to reap the benefits of your advertising on the Facebook platform. Scheduling is very important to reach your expected position in Facebook advertising. Know the best and most favorable timings to publish your video ads and at which place you want to place and where you want to show your video ads to target the audience is very important while implementing your strategic planning. Use the video analytics data provided by the Facebook platform and knows about the favorable video length that most viewers like to prefer basing on the views and watch time. Know about the various ad types on the Facebook platform and fit your strategy in the concerned video ad to reach your targeted audience. After implementation of your video advertising strategy, you have to focus on your promotion strategy in order to reach your audience. The main objective of your video ad is to reach people and engage them with your brand. Optimize your pricing and bidding subjects. Go for video views optimization by using the pay per impression which can optimize the ad delivery and focus on the content showing to people who are likely to watch your video. While creating your video ad you can create a custom audience of the people who have watched your video content. This is the best way to introduce the brand or product using the video ads. Thumbnails are the first impression on your video. So don’t try to trick the audience for more engagement and views. Try, to be honest and make relevant thumbnails to your video content. Mobile targeting will have higher engagement levels and low CPM expenses. So, go with the best storytelling and so that you no need to bother more about the landing page or website optimization. Most people can visit your website or blog if you turn them towards your landing pages. Try to embed the content on your websites to boost the website traffic from your video ad. Measure the performance of your video ad by analyzing the key factors like watch time and a number of unique views. Check both paid and organic video views and number of people who viewed the video. Know the audience retention rates and act accordingly. Finally, try this simple guide and utilize the tips to reach your objective.